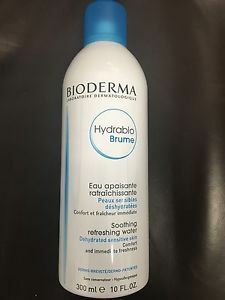 Thanks to a perfect balance of mineral salts and trace elements, Hydrabio Brume totally respects the skin's biological and physiological characteristics, making it the ideal ally for sensitive and dehydrated skin to combat various reactive signs (dermatological procedure, hair removal, razor burn, sunburn etc.) and feelings of discomfort. Gabriela P. Reviewed by Gabriela P.